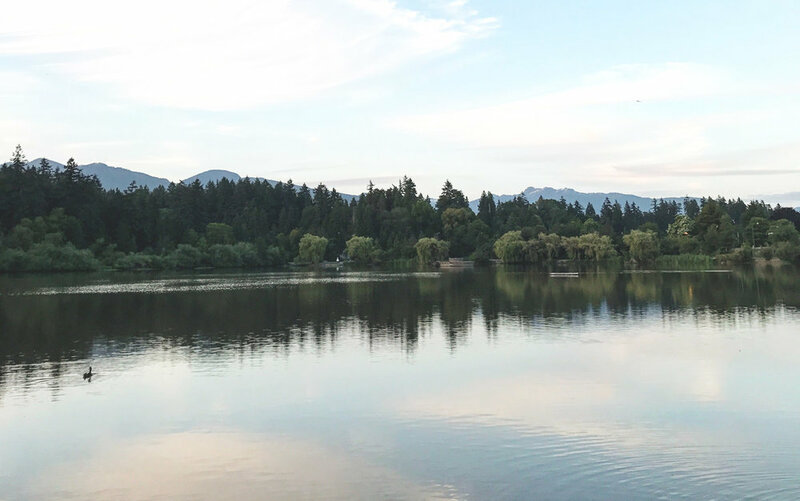 I'm happy to publish my third digital nomad guide today after spending one month in Vancouver, BC! If you missed my previous one, click here to read about Tulum, Mexico. For this trip, I traveled alone. I knew I wanted to leave Montreal for the summer. At first, I had in mind to go live in New York but because of everything that's been happening with Trump and the Canadian currency, it felt like staying in Canada was a smarter decision. I had visited Vancouver in the past and it was my plan to go back for a long time. For this trip, I used my BMO Rewards points and ended up paying $40 for a one-way flight to Vancouver with WestJet. I didn't get a return because I really wasn't sure where I was going to at first. While I was in Vancouver, I mostly walked everywhere. I literally had everything minutes away from home including supermarkets, multiple beaches, Stanley Park, gyms and a bunch of solid coffee shops. I did visit other fun neighborhoods on weekends and the majority was close enough to walk to, under 35 minutes away. Kitsilano and Mount Pearl were the two exceptions and to get there, I purchased a Compass card. The card itself is $7 and then you can add money to it as you desire. Most bus rides I took cost around $2.85 which is incredibly cheap. The only challenge with the card is that only Skytrain stations and London Drugs pharmacies had the machines to reload the card and nothing was really close to me. Another way to get to farther neighborhoods was the ferries! First off, I love any type of ferry so it was always very exciting for me. Of course, it does end up being more expensive but not so much. Most one-ways are between $2.50 and $3.75 and you rarely have to wait more than 10 minutes for a ferry as multiple companies serve the area. I wish Vancouver would offer the same type of ferries to get to North Vancouver which I didn't get to see after all. I rented an apartment through Airbnb again. I'm not going to lie, the prices were quite high. The apartment I chose ended up costing $3000 for the month which came to about $100 a night. You might think that a hotel might have been the same price but no, Airbnb was still cheaper. I don't think I would ever pay this price again unless it's being split with someone else but I decided to do it once in my life because I needed it. This trip was about taking care of me after a lot of difficult months dealing with family challenges, too much work and relationship problems. This one was easy! Since I stayed in Canada, I was able to continue using my Montreal cellphone plan. Vancouver does have coworking spaces but I decided not to go to one. First of all, even when I travel, I still pay for my WeWork membership and I didn't want additional fees. Second of all, it gave me a chance to visit a bunch of coffee shops to get work done. The good news is that WeWork has opened a location in Vancouver since I left so I'll be able to go there next time! During my stay, I hardly ate out. Having a Whole Foods minutes away really made my life easy and helped me concentrate on cooking delicious and healthy meals every day. Groceries are quite expensive in Vancouver compared to Montreal. Prices would generally be 35% higher even at Safeway, a popular supermarket chain. Another way to buy food was to check out the Farmer's Markets and Vancouver had one running every single day in a different neighborhood. It was a great way to meet locals and also try some food trucks. I ate out a few times during my last week and I made this list with all my favorite finds! Gyms can be a ripoff in Vancouver. I contacted Anytime Fitness which is usually $50 per month but they ended up finding a way to bring the price up to $150 for one month. While browsing the Google map of the area I would be staying in, I noticed a community center so I decided to visit them in person on the day of my arrival. After a quick chat, they confirmed they had a gym and it was open to anyone! 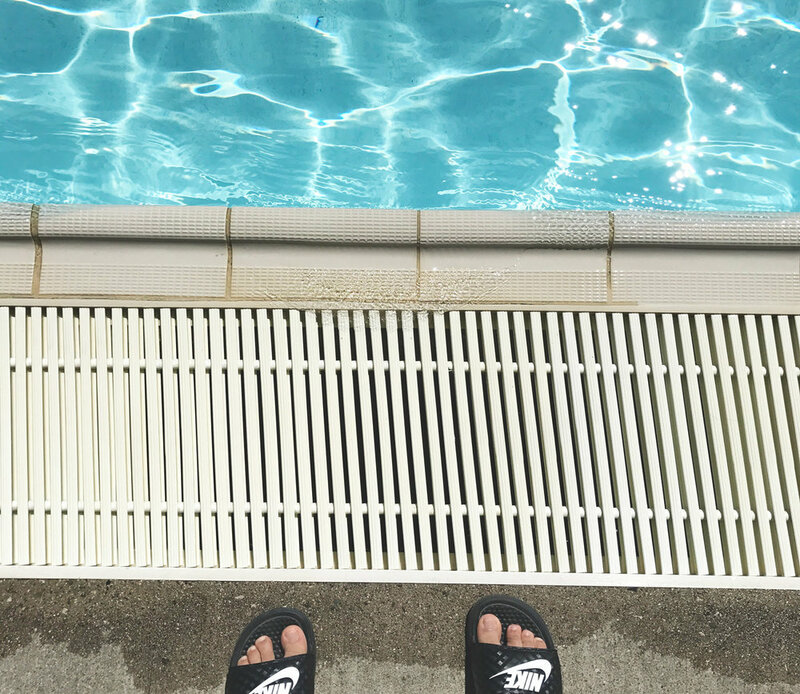 For one month, it cost me $48 and gave me access to the gym daily but also all the outdoor community pools. There was one by the water in Stanley Park and I made it a habit to go 2-3 times per week. Such a good deal! I also took daily one-hour walks by the Seawall while listening to podcasts and did the whole Seawall 2-3 times during my stay which took a minimum of 2-hours of fast walking. Vancouver is an expensive city and I feel like you won't enjoy it fully if you're not willing to spend more money than usual. It was easy for me to visit the beach daily while grabbing a coffee in the morning and I always felt inspired to get active and eat healthy because everyone was around me. Choosing a farther neighborhood would have definitely changed my experience. Feel free to ask me any question you may have about my stay in Vancouver or another Canadian city as they most likely will be similar. 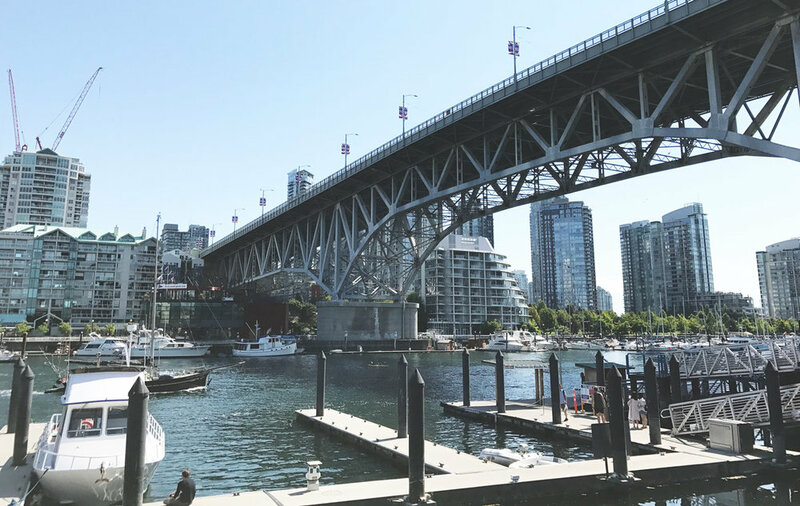 Make sure to check out my other article about my favorite places in Vancouver if you're not going for a long time or for work.